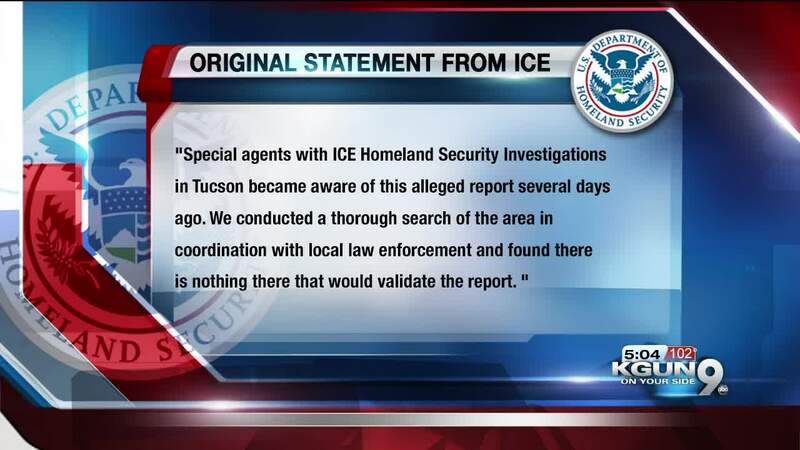 UPDATE June 6, 2018 @ 8:30 p.m.: KGUN 9 was contacted by a representative of the U.S. Department of Homeland Security Immigration and Customs Enforcement in Tucson with a request to modify their statement regarding the bunker found at I-19 and Valencia in Tucson; Special agents within the human trafficking division of the U.S. Department of Homeland Security Immigration and Customs Enforcement in Tucson became aware of the report of alleged human trafficking at a bunker found near I-19 and Valencia several days ago. 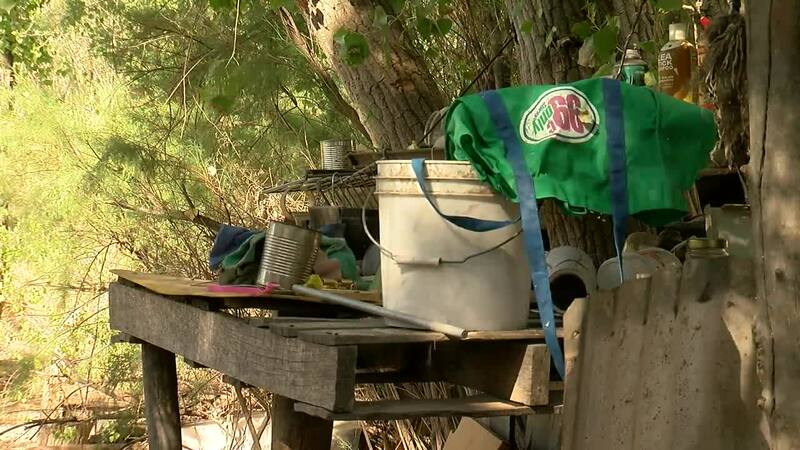 They have reached out to KGUN 9 On Your Side to say that "they are familiar with the site as a homeless camp and are continuing to monitor it. They say they have found nothing that would validate the claims of possible human trafficking." UPDATE June 5, 2018 @ 8:00 a.m.: Special agents within the human trafficking division of the U.S. Department of Homeland Security Immigration and Customs Enforcement in Tucson became aware of the report of alleged human trafficking at a bunker found near I-19 and Valencia several days ago. They have reached out to KGUN 9 On Your Side to say that they "have conducted a thorough search of the area in coordination with local law enforcement and found nothing at the site that would validate the claims of possible human trafficking." Late last week, an underground bunker was found near Interstate 19 and Valencia Road. Since the bunker was found, the Tucson Police Department has sent officers and investigative teams to search for evidence of the human trafficking of children. TPD says they have found no evidence of a human trafficking site. A homeless advocacy group says they have found evidence that people were trafficked or smuggled through this location. The group says they will stay at the site until authorities recognize the underground bunker as part of human trafficking activity and investigate it further.